Fortnite: Battle Royale from Epic Games has quickly become one of the most popular games in the world, and for good reason. Players need to simultaneously utilize building, combat, exploration, and survival skills – while competing with up to 99 other players – during each real-time match. Ride the Fortnite: Battle Royale Battle Bus from the pre-deployment area to the mysterious island where each match takes place. A match in Fortnite: Battle Royal is played in real-time against up to 99 other players. A continuous Internet connection is required. Each player controls one soldier, who gets dropped off on a mysterious island by a flying bus (known as the Battle Bus). The primary goal during each match is to become the last survivor on the island. To win, everyone else must be defeated or killed. There's no second place. The goal is to become the last soldier alive on the island at the end of each match. To achieve success, during each match (which lasts approximately 15 minutes), players must explore the island; find and collect weapons and ammunition; take advantage of various type of loot; plus gather resources (wood, stone, and metal), which are used for building structures and fortresses. Simultaneously, all enemy soldiers must ultimately be defeated during high-intensity battles. During the End Game portion of a match, only a small area of the island remains inhabitable. As each match progresses, a storm pushes the remaining soldiers closer together. The areas displayed on the island map in pink have become uninhabitable due to the ever-expanding and moving storm. The storm eventually forces the final handful of survivors to engage in battle – known as the End Game or Final Circle – ultimately leaving just one person alive. Success in Fortnite: Battle Royale requires players master a variety of skills related to exploring, building, survival, and fighting. Knowing which weapons to find, collect, and use, as well as when and where to use them is essential. However, equally important is knowing how to avoid potentially deadly enemy attacks during the early stages of a match, knowing how to avoid the storm, and being able to quickly build structures and forts when and where they're needed. The following five general strategies will help Fortnite: Battle Royale noobs (beginners, aka newbies or noobs) survive longer during matches. At the start of each match, the soldiers controlled by up to 100 different players all board the Battle Bus, which travels across the island. Check the Island Map to determine the random route the bus will take, and then choose your desired landing location. The bus route is shown as a blue line on the map. The Island Map for Fortnite: Battle Royale (Season 4). The island includes about 20 points of interest that are labeled on the island map. Each point of interest features a different type of terrain, and a different collection of buildings and/or structures to explore. In between the points of interest are dozens of other areas, that are not labeled on the map, but that contain additional places to explore, as well as weapons, ammo, loot, and resources that can be collected. Choosing to land within a popular point of interest means you'll immediately encounter enemy soldiers who you'll likely have to fight. Upon landing, each soldier is armed only with a pickaxe (which can be used as a close-range weapon, to smash objects, and to harvest resources). The first soldiers to land on the island, and then find and grab a weapon, always have the advantage. They are able to shoot and kill unarmed soldiers as they land. Instead of landing within a point of interest, consider landing somewhere more remote. This typically gives you additional time to find and build your arsenal, collect resources, and better prepare for battles. As each new Season kicks off, new points of interest are introduced to the island. However, with each new game update (patch), new and unlabeled areas of the map are introduced. Typically, the newest areas added to the map tend to be the most crowded and popular. You're also apt to find more enemy soldiers landing near the beginning and end portions of the Battle Bus' random route at the start of each match. At any given time, Fortnite: Battle Royale offers hundreds of different types of weapons that fall into separate categories, which include: pistols, rifles, shotguns, SMGs, and projectile weapons (like a rocket launcher or grenade launcher). Each weapon is categories based on its Damage Rating, Fire Rate, Damage Per Second (DPS) rating, Reload Time, and Weapon Rarity. During each match, your fighting needs will change, so its important to have the best combination of weapons, ammo, and loot with you at any given time. Some weapons (like pistols and shotguns) are better suited for close-to-mid-range combat. Others (like sniper rifles with a scope) are ideal for shooting with extreme accuracy from a distance. There are also projectile and exploding weapons, like grenade launchers, that are ideal for destroying entire structures (and killing anyone inside them). Within a soldier's backpack, a player can store a combination of up to five weapons and/or loot items, as well as their pickaxe (which can't be dropped or replaced during a match). In conjunction with finding and gathering the best arsenal of weapons that'll prepare you to engage in various types of attacks, its essential that you stockpile ammo, which can also be found, gathered, and collected during each match. Different types of ammo work with specific types of weapons. When visiting various points of interest, you'll likely participate in fire fights within structures, as well as out in the open. For this type of engagement, a versatile close-to-mid-range weapon (such as any type of shotgun) is ideal. Later in a match, during the End Game, when soldiers typically build elaborate fortresses, and then launch their attacks from them, projectile/explosive weapons and/or a sniper rifle are essential for longer-range attacks. Discover chests throughout the island. You will discover a random selection of weapons, ammo, loot, and resources inside. Scattered throughout the island, and often found on the ground (and out in the open), you'll find more than a dozen different types of loot items. Collections of loot can also be found within chests, supply drops, and loot lamas, or collected from enemies you kill. Loot items can also be acquired within the game from Vending Machines (using wood, stone, or metal resources as currency). New types of loot are continuously being introduced into the game. Some loot items are used to replenish a soldier's health points (HP) and/or shields. These include: Med Kits, Bandages, Slug Jugs, Shield Potions, and Slurp Juice. There are also loot items that can be used as a weapon, such as Grenades, Remote Explosives, Traps, Clingers, and Impulse Grenades. Each can damage or destroy a structure, plus help you eliminate one or more enemies at a time during a battle. Finding and grabbing the right collection of loot is another important decision. Each time your soldier receives damage from an attack, fall, or explosion, for example, some of their HP gets depleted. Once a soldier's HP hits zero, he or she is immediately eliminated from the match. Thus, after receiving damage, it's important to have a HP and/or shield replenishing loot item on hand. These too are kept in a soldier's backpack, which only has six slots to hold weapons or items. A simple fortress build out of wood on the island during a Fortnite: Battle Royale match. Using resources – wood, stone, and metal – that have been found, harvested, or collected during a match, a soldier can enter into Building Mode and create walls, ramps/stairs, simple structures, or elaborate fortresses. There are three ways to gather resources. First, you're able to use a pickaxe to smash any objects within the game. Bundles of wood, stone, or metal can also be acquired by finding and grabbing resource icons found throughout the island, as well as within chests, supply drops, and loot lamas. Plus, anytime you kill of an enemy soldier, you can retrieve some or all of their weapons, ammo, and resources. Throughout a match, a player must be able to quickly build ramps/stairs, as well as small forts or protective barriers for shielding. Toward the End Game portion of a match, many players rely on building an elaborate fortress (in a strategic location) to help keep them alive. Knowing when, where, and what to build during a match is an important element of game play. Becoming an expert builder takes practice, since speed is essential. When in building mode, a soldier is unable to use a weapon. Each time a player gets eliminated from a match (unless they're the winner), they automatically enter into Spectator Mode. This allows them to watch the rest of the match without participating in it. This is an excellent way to study the gaming strategies used by more experienced players. Learn how to play Fortnite: Battle Royale by watching the live streams of top-ranked players on YouTube and Twitch.tv. There are also hundreds of YouTube channels and Twitch.tv channels that offer free game play tutorials, as well as recorded or live Fortnite: Battle Royale game streams by expert and top-ranked players. Within the Search field of YouTube or Twitch.tv, enter the search phrase "Fortnite: Battle Royale" to find free instructional videos to watch and learn from. You'll also discover free, online-based strategy guides available. To find them, use the search phrase Fortnite: Battle Royale Strategy Guide within your favorite search engine. Regardless of which gaming platform you're using, step one is to download and install the game for free. 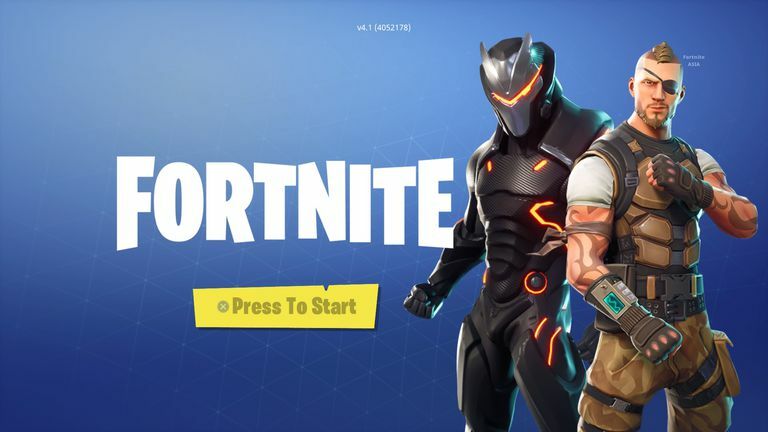 Using any web browser, Windows PC and Mac users should visit www.fortnite.com, and click on the Get Fortnite button. Playstation 4 users need to visit the online-based Playstation Store, after setting up a PlayStation Network account. Xbox One users should visit the Xbox Marketplace after setting up a Xbox Gold account. iPhone and iPad users can download and install the iOS version of Fortnite: Battle Royale from the App Store. Once the Android-based version of the game is released, it'll be available from the Google Play Store. For information about the rumored release of a Nintendo Switch version of the game, visit the Nintendo eShop, or visit the official Fortnite website. Acquire character customizations from the Fortnite: Battle Royale Item Shop. For the most part, playing Fortnite: Battle Royale is free. However, in-game purchases from the Item Shop allow players to customize the appearance of their character. Character outfits, backpack designs (back bling), Glider designs, and three different types of Emotes (graphic emotes, dance moves, and spray paint tags) can be purchased, unlocked, or acquired. Items from the Item Shop are each sold separately. The average cost is between $5.00 and $20.00 per outfit or item. It's refreshing to see that these in-game purchases aren't required to succeed at the game. You can't buy anything that gives you a gaming advantage over another player. Every few months, Epic Games also kicks off a new Season of gameplay. This includes major updates to the game, and the start of a new Battle Pass. Players can purchase an optional Battle Pass (for about $20.00), which includes ongoing daily and weekly challenges, as well as Battle Pass Tier-related challenges. Completing a challenge, or all of the objectives in a Tier, allows players to unlock limited edition or rare character customization options and other loot within the game. If you don't want to complete the Tier-related challenges, but still want the loot, players can pay extra to unlock each Tier. Thanks to regular game updates every two weeks or so, the kick off of a new Fortnite: Battle Royale Season every two to three months, and the fact each match involves up to 100 separate players, each time you participates in a match, your experience will be unique and challenging.